When you get into a relationship, you and your partner will most likely go through what’s called “the honeymoon phase” (which usually lasts between 6 months to a year). This is when everything seems perfect and you’re doing everything to impress each other. But when you’re together for a while and become comfortable with each other, reality sets in and you might start to feel like there's a disconnection between you guys. This does not mean that you aren't compatible as partners, you might just not be speaking the same love language. Love language (which was first explained in a book by a relationship counsellor named Dr. Gary Chapman) simply means the way we love, receive or express ourselves. Understanding the different love languages can seriously improve and help the communication in your relationship. Here are some examples of different types of love languages. Giving your partner your undivided attention and spending time together will make your partner feel wanted, comforted and satisfied - especially if this is their love language. If your partner values quality time with you above everything else, it’s important to pay attention to when they feel like you’re not spending enough time with them. Even when you’re extremely busy, just stealing a moment or two from your busy schedule might make them feel more secure. For some people, sharing little gifts is what gives them more joy in a relationship. Surprising your partner with gifts will brighten up their day as it will show that you thought of them and care about them. Wanting to receive gifts doesn't necessarily mean that your partner is materialistic – it’s actually quite likely that if they like receiving gifts then they like giving them too. For a partner that uses gifting as a love language, the act of gifting is more about the thought and expression behind the gift than the gift itself. Simple things like handpicked flowers, creating a photo album with all your memories and love letters (which are inexpensive) could mean a lot to them. Words of affirmation are words that are encouraging; and they can help build you up. 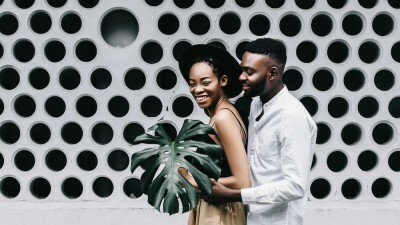 If this is your partner's love language, hearing that they are loved, being complimented and constant reassurance of commitment will mean a lot. Insults, discouragement, emotional manipulation may break your partner's spirit and heart. If your partner prefers touch, nothing speaks to them more than having a sense of connection and security. Things like being kissed, hugged, or cuddled will reassure them that they are loved. A person whose love language is physical touch will behave in a very affectionate way because that makes them feel loved and safe. If being touch-feely, especially in public, is not your thing - try talking to your partner about it. You could then come to a compromise. For example, agreeing to just hold hands in public might satisfy your partner's need for physical touch, while at the same time not being too much for you if you’re uncomfortable with public displays of affection. The famous term "actions speak louder than words" appeals the most to these people. If your partner doesn’t deal well with broken commitments or empty promises, this is most likely their love language. So if your partner takes commitments and appointments very seriously, you should be willing to respect that and only commit to what you can. Don’t tell them you will do something or be somewhere when you’re unable to and let them know when you’ll be late or will miss and appointment (as far in advance as possible). Do any of these love languages remind you of the special person in your life Choma? If you haven't taken any notice, I suggest that you communicate and learn your partner's love language for a happier relationship and prolonged honeymoon phase.